When General Elections of 2014 were approaching, BJP had used Bullet Trains as an important trump card. Now once again elections are approaching, but this time they’re in Uttar Pradesh. Political importance of UP is well-known to all parties. If state comes in the hands of BJP, its power in country can increase several folds. And once again, BJP wants to use Bullet Trains to its advantage. 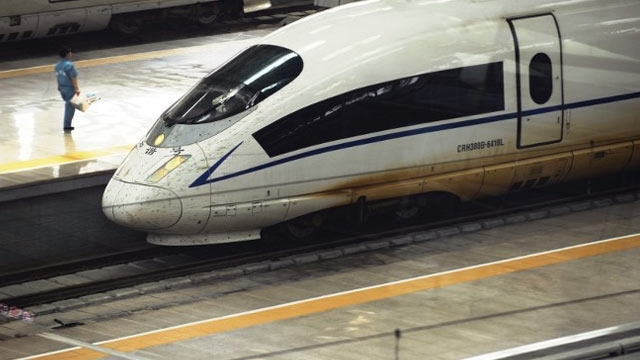 Yes – Central Government has ordered to speed up the work of Delhi-Varanasi Bullet Train project, which is a part of Delhi-Kolkata high-speed rail corridor. Let’s learn more about it. No start date has been fixed for the train as of now, but the work has been fast-tracked. It’s being heard that for government this particular project has suddenly climbed in importance over other such projects. It shouldn’t be surprising if work on it begins before 2017 polls. However, the first run of train may still take a few years. You can consider this for an idea: Rail Minister Mr. Suresh Prabhu has said that Mumbai-Ahmedabad project, which was the first such project to be proposed by Rail Ministry, will start operations in 2023. Now even if government has taken Delhi-Varanasi corridor into priority it will still take a few years to complete. Station will Covered Aligarh, Agra, Kanpur, Lucknow and Sultanpur. There may be more facilities than this, but it’s very unlikely to have anything less. Bullet trains are known for their speed, and this one will also be no different. The speed of train will be somewhere between 200 km/hrs to 350 km/hour depending on the capability of corridor. The train will pass from several major stations to reach its destination, which include Lucknow, Sultanpur, Agra, Kanpur, and Aligarh. How Much Time it Will Take Between Delhi to Varanasi? Depending on the speed of train the distance of 782 kms between Delhi and Varanasi will be completed in less than 3 hours, with a highly expected duration of 2 hrs and 40 minutes only. The distance between Delhi and Lucknow (506 kms) will also become shorter and it’ll be completed within 1 hour and 45 minutes. The most obvious advantage, of course, is speed. The most obvious disadvantage that people may find is money that it’ll require to be implemented. Aside from that, however, there’re no disadvantages and only benefits of time saving and a pleasant travel experience. Currently the cost of implementing this project has been pegged at Rs. 43,000 crore. However, it’s not final figure because the accurate cost can be determined only after choosing the right alignment for project. After Mumbai-Ahmedabad stretch this Delhi-Varanasi track is second Bullet Train project in country. It may open the doors of many future opportunities, as its high-speed corridor may also be used to run other high speed trains. Railways is already mulling the option of operating double-decker high speed trains on this corridor. So there’s a good chance that this one high speed train may result in the running of many other high-speed trains in Northern part of country.